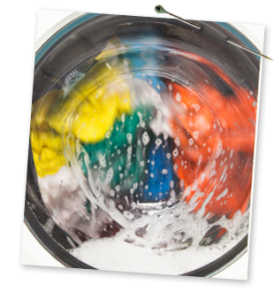 Wet cleaning is an extremely safe method of garment cleaning. It utilizes gentle washing machines, biodegradable soaps and conditioners, and various types of pressing and re-shaping equipment that is specialized for many different fabric and fiber types. The most important aspect of successful wet cleaning is experience and knowledge of different types of fabrics and proper ways to finish garments by operators.